Shoulders are a smaller muscle group with 3 heads, so the best shoulders workout has to hit all 3 together and separately. To hit the front deltoids, side delts and rear delts with an eye to building muscle, this workout will include 4 sets each of 5 exercises, done as a superset followed by a triple set. It’s important to use proper form and weights light enough to ensure you focus on your shoulders and involve your chest and arm muscles as little as possible. This workout can be done in your local commercial gym or just as easily in your home gym. Start by setting up your bench so that your back is supported about 10 or 15 degrees short of vertical – you want to be leaning back just slightly. 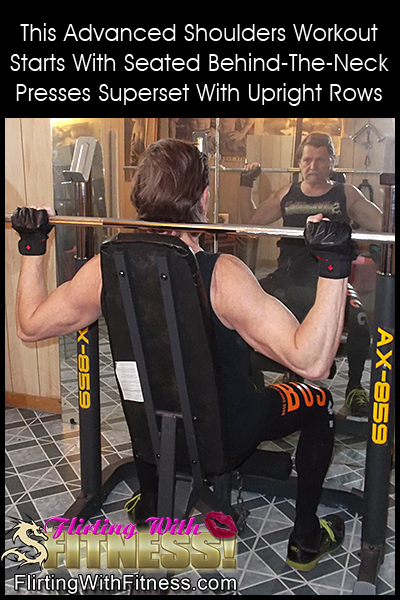 Place the bench just in front of your rack so the bar is easy to lift out when seated. Start with a light warmup set or two of seated overhead press – use just the bar or load it lightly. Remember the idea is to avoid pre-exhausting the muscles but rather just to fill the area with blood and work the shoulders just enough to warm them up. Be sure to use a full range of motion so they get a mild stretch as well. This best shoulders workout starts with a superset of seated overhead presses and upright rows. If your shoulder mobility allows it, do your overhead presses behind your head, but if not then bring the bar down in front. The idea to using behind-the-neck presses is to avoid involving the chest in your lift, but it will still work nicely for your shoulders if you need to bring the bar down in front. Have your training partner or spotter stand just behind you to ensure you don’t go too far back at the top of the lift and to help you re-rack the weight if necessary. When you finish your set, immediately stand up and do a set of upright rows with that same weight. Only raise your arms until your elbows are level with your shoulders to avoid impinging your rotator cuff – your grip should be wide enough that your arms are bent at a 90-degree angle once your upper arms are parallel to your shoulders. Most weightlifters will find they’re stronger on the upright rows than the overhead press, so you’ll find you can do a few more reps on those. Start your superset with a lighter weight that allows you to do 12 reps of the press and 15 reps of the rows, then over the 4 sets increase the weight slightly each set, ending with a final set of 8 presses and 12 rows. Be sure to maintain strict form throughout to avoid injury, and use a cadence of 1 second to lift and 3 seconds to lower the weight on both exercises. Limit your rest between sets to 30 to 45 seconds, then after your last set rest for 3 or 4 minutes before moving on to the triple set – remember to hydrate during the break! Now that you’ve recovered from the two big compound shoulder exercises it’s time to isolate the 3 heads and hit the rear, side and front delts individually with a shoulders triple set. Grab a pair of dumbbells you can handle easily and start with rear delt flyes. Lean forward about 15 degrees from the waist – if you’re not sure how far to lean, look to your side in the mirror and see how far to lean forward to engage your rear delts when lifting your arms to shoulder height. Bend your elbow just slightly and then lock your arms in that position, raising them to the outside to shoulder height and then returning them back down in front of you. Don’t worry about lifting the weights to shoulder height – your delts are only involved in moving your upper arms, so just focus on getting your elbows up to that height. Immediately following your rear delt flyes, stand up almost straight, leaning forward just enough to allow the dumbbells to hang freely in front of your body. Keeping that slight bend in your elbows raise your arms to either side, again until your upper arm is in line with your shoulders. Lower them back down slowly and under control, then repeat until you’ve finished your reps for this set. Again without taking a break, start into your front raises. Maintain the slight bend in your elbows and start with your palms facing your thighs, then raise the dumbbells out in front of you to shoulder height and back down again. You can do both arms at once or alternate one then the other based on your own preference. By this point in the triple set your energy will be flagging but don’t let your form slip – avoid the temptation to lean back and swing the weights up, keeping to a controlled raise and descent. Each cycle through the 3 exercises is one set, and after each set take about a 60-second break before starting the next set. Start with light dumbbells you can maintain strict form with for 12 reps of each exercise on the first set then increase the weight slightly each set, doing your 4 sets with 12, 10, 8 and 6 reps. Try to maintain a cadence of 1 second up, 1 second hold at the top, 3-4 seconds lowering the weight and no rest at the bottom of each rep for all 3 exercises. By the end of the best shoulders workout you’ll definitely feel the pump in all 3 heads and know that you’ve worked them fully. 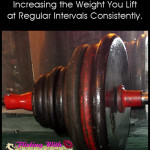 Avoid the tendency to speed up the reps so you can go heavier – remember that your goal is to build muscle so you want to maximize your volume, intensity and time-under-tension. Because the deltoids are relatively small muscles they heal fairly quickly with proper nutrition and rest, so this workout can be repeated two or three times per week on non-consecutive days. At first they may be a little sore the next day but that will fade as time goes on and as you grow your shoulder pumpkins you’ll soon agree this is the best shoulders workout for building muscle! 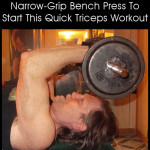 This entry was posted in Building Muscles, Working Out and tagged best shoulders workout, building muscle, deltoids, delts, shoulder muscles, shoulders. Bookmark the permalink.